Emperor Meiji's Tokyo Miyuki (moving to Tokyo) (March 1869). During the approximately 1080 years from the establishment of Heian-kyo to the Emperor Meiji's relocation from Kyoto City to Tokyo City, nearly all the emperors had resided in Kyoto City. The people of Kyoto hope that the Emperor comes back to Kyoto. * The palace can be visited without special permission ,five days during the last week of April and the middle of November. The Sento Imperial Palace was built in 1630 as Emperor Go-Mizuno's retirement residence. Emperor Gomizuno was a highly educated man with refined taste and contributed considerably to the design of the villa and gardens. 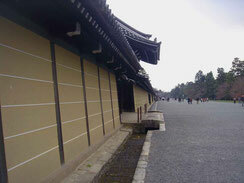 But several fires have burnt down the buildings over the time, and the Sento Imperial Palace was never reconstructed. 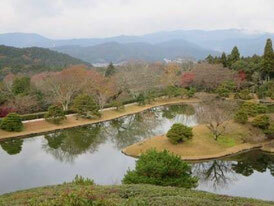 The gardens stem from the year 1630, designed by the famous garden designer and tea master Kobori Enshu. 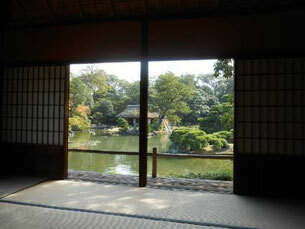 Katsura Imperial Villa (Katsura Rikyu) is one of the finest examples of purely Japanese architecture and garden design. The villa and garden in their present form were completed in 1645 as the residence for the Katsura Family, members of Japan's Imperial Family. It is located in the West of Katsura-River which is not close to the central part of Kyoto City. The total area is about 69,000㎡ including adjunct area, which is 1.5 times greater than that of Tokyo Dome. Shugakuin Imperial Villa (Shugakuin Rikyu) was built in the 17th century by Emperor Gomizuno. It consists of the Upper, Middle and Lower Villa areas, each featuring gardens and buildings of the traditional imperial style. The best time of the year to visit Shugakuin is autumn (late October-early December), when the fall leaves are changing color. 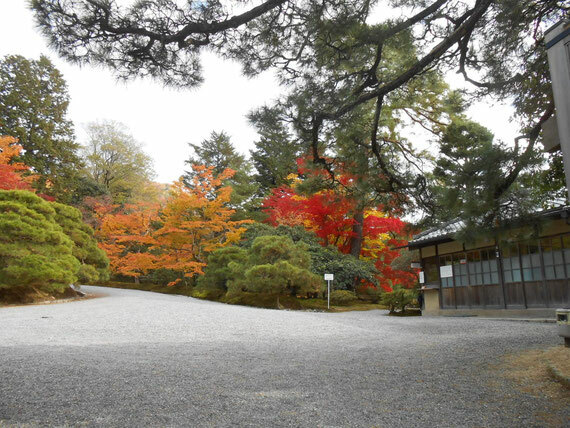 Although Shugakuin Imperial Villa covers a vast area of land - approximately 135 acres. The Imperial Household Agency administers it, and accepts visitors by appointment.